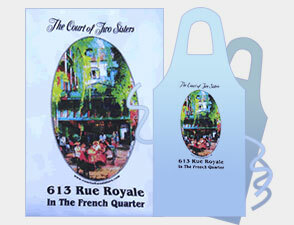 The Court of Two Sisters Apron is available for $18.87 (plus shipping). Please allow 1-2 business days for processing. Items are mailed through USPS, please allow time for shipping.